I know it's been a while since I've last posted anything. I guess I've been slack since I've started full time work. 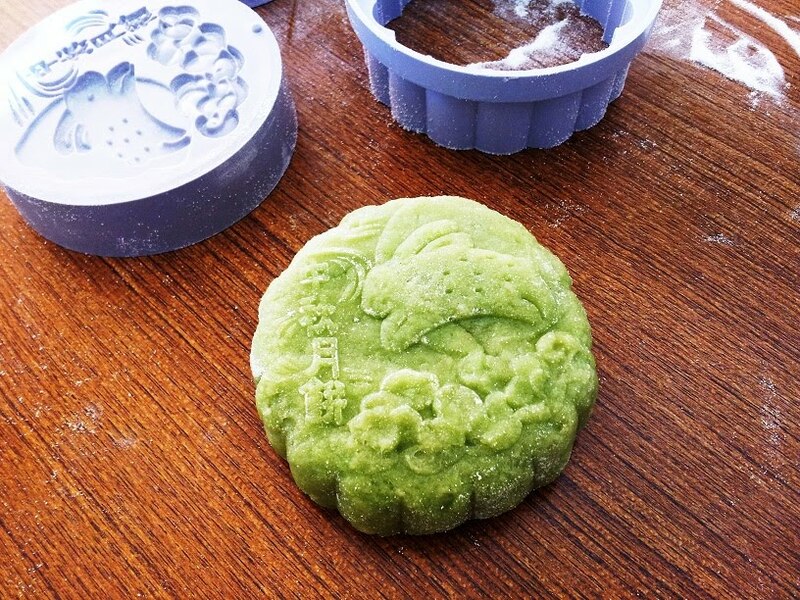 I've just arrived back home from Tassie yesterday, so I haven't made heaps of mooncakes this year. (Mid Autumn/Moon festival is on Sept 12th 2011). 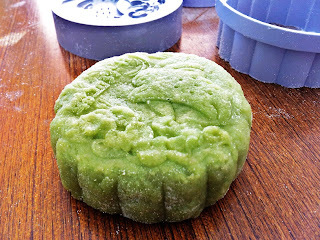 They're green tea snowskin with taro and custard centre. I've made them by estimation and feel as my digital scales have run out of battery unfortunately.. -__-. It's practically the same recipe as my previous makings in 2010 and 2009. Except I've only used one batch of dough, one packet of taro paste, worked by feel/guestimation and didn't use a rolling pin to roll the dough out. Haha. I'm sorry. Next year should be better! This year was a tad rushed..